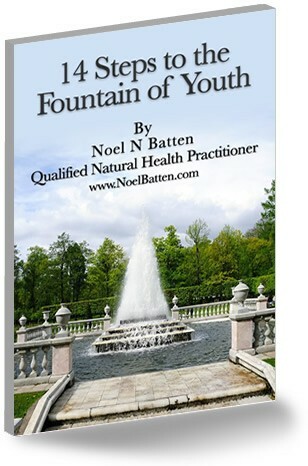 Apply the 14 steps explained in this book to your life and develop extraordinary youthfulness, mental efficiency, improved sleep & digestion and enjoy vitality well into old age. The concepts in this eBook will help you grow to be younger, grow to be healthier, and grow to have a consistantly high youthfullness, without the use of hormone replacement substances like growth hormone, which can often cause problems to your heart and immune efficiency. This may well be one of the most interesting books you will ever read on health. 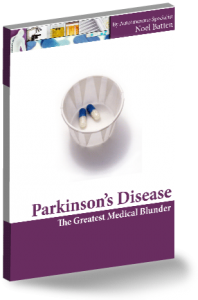 It takes a very close look at medical research that explains the causes of many health problems experienced by adults and children and then shows how these medical findings are already explained in the Bible. 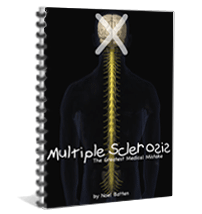 To further confirm these medical findings and the scriptures they endorse, this book also details actual case histories of people who have overcome the health problems discussed which are assumed by many to be incurable and it explains exactly how these people achieved their success. Health can be a very confusing and controversial issue particularly when we compare the medical approach, to the approach used by individuals who have actually overcome diseases that medical experts often cannot even explain. The reason medical science cannot overcome certain disorders that individuals are overcoming, is because predominantly, orthodox medicine is focused on the promotion of medicines and drugs, and therefore it overlooks the need to reverse the individual stress factors that actually create the diseases. Why is it we can walk into almost any major bookshop in almost any capital city in the world and purchase a huge array of books written by people who have themselves overcome diseases that our medical experts claim are impossible to overcome? After realising this, there is no dispute, the answers are there for us to find, if we seek hard enough and if we are willing to listen to the people who have experienced the diseases and have searched diligently to find the solutions that apply to them. On reading this amazing comparison between medical science, scriptures and personal success, you will learn exactly what you need to know to keep yourself completely free from disease for the rest of your life and what you need to teach to your family to keep them free from disease. You will also have 14 simple steps of stress management that you can apply to every day living that will encourage the perfection of your immune system and give you abundant physical and mental vitality. After reading these fourteen steps you will be able to make adjustments in your life, and in the way you and your family members think, that will enable you and your family to overcome stress with far greater ease than ever before. 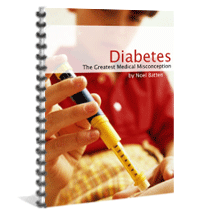 This book opens doors of understanding and answer questions concerning some of the most confusing issues of health. It clearly explains why it is, some people who appear to be doing all the things you would assume would keep them in perfect health, are always sick, and why others who appear to be doing all the things you would assume would encourage poor health, are always vibrantly healthy. Read medical reports by Dr David Kissen one of the world’s greatest lung cancer specialists, that prove, smoking is not the main cause of lung cancer. These reports explain why approximately 50% of lung cancer patients have never smoked, and that the main cause of lung cancer is in the Bible. Read how Dr Deepak Chopra, a world renowned hormonal expert, explains how cholesterol has little to do with what we eat, but how much dopamine we release according to the way we react to stress, how deep we sleep and how well we digestive our food. Read how journalist Ed McCabe, author of the book “Oxygen Therapies” is helping people to overcome HIV and the method he uses is explained in the 1991 American Medical Journal of Hematology as well as the Bible. Learn how to develop these three specific aspects of your personality and you will understand how men, women and children think, how the human mind works “in very simple terms” and you will be able to develop perfect health and consistent happiness in your relationships with other people. Once you read the explanation on these three hormonal glands and how emotions effect the mind and body, you will know exactly what to think in life and what to teach your children to help them maintain perfect health and happiness. Without any doubt, you will also understand exactly how children develop disorders such as autism, ADD, ADHD, asthma, bronchitis and conditions such as anorexia and, you will be capable of helping children overcome these conditions. This book will give you an understanding about health, life and relationships with your partner, your children and your friends, that will enable you to be in control of life to create abundant health and happiness, instead of life being in control of you and holding you back. Many people have overcome cancer, lupus and chronic fatigue by using carrots, pumpkin, papaya and grapes, yet others who have tried this same approach have failed. Alternatively, research has discovered these substances “can” overcome these disorders but the difference between the people who succeed and the people who fail, is that the people who fail have difficulty digesting and absorbing these particular foods high in carotine and specific amino acids essential to combat these specific conditions. This book points out a scripture in the Bible that relates to hormonal efficiency which explains how to improve digestion and absorption of these particular foods to help “everyone” avoid or overcome these conditions. It also explains if you apply this scripture to your life, you will not only digest these specific nutrients to avoid disease and maintain youthfulness and mental vitality, but you will also have the power to advise others how to develop these immune perfections. Many people have overcome breast cancer, prostate cancer, lung cancer, asthma, bronchitis, emphysema and arthritis by improving their deep stage of R.E.M. sleep, learning relaxation skills, doing breathing exercises and improving emotional self-expression, yet others who have tried this same approach have failed. Alternatively, medical research has discovered, this approach has a definite healing effect over these disorders but the difference between the people who succeed and the people who fail, is that the people who fail have a very overactive mind during sleep and have a very shallow breathing capacity. 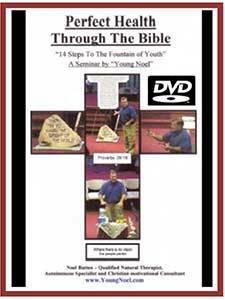 Surprisingly, there are three scriptures in the Bible that explain “exactly” how to overcome an overactive mind. This book explains if you apply these three scriptures to your life, you can not only avoid cancer, lung disorders and arthritis, you will improve your sleep and physical and mental vitality beyond all expectation. This book and the two videos that complement it, take a very in-depth-look at scriptures, which Christians who are not conversant with anatomy and psychology, would normally overlook simply because they relate to inner hormonal functions of the mind and body. Once you see the true meaning of these scriptures and follow the fourteen steps of stress management they endorse, you will view life with a completely different and incredibly enjoyable outlook that will allow you to feel greater and more in control of life than ever before.